Last Sunday my family and I participated in the Boston Marathon Jimmy Fund Walk. For those who aren’t Bostonians, the Jimmy Fund is the fund-raising arm of the Dana Farber Cancer Institute dedicated to supporting research on childhood cancers. My daughter and I were walking a pace or two behind our team. We happened to be interspersed with a group called Jessica’s Twinkling Stars. There were maybe 30 of them including 8 or 10 little girls about my daughter’s age. Each of the girls had a light purple crocheted hat; some hats were adorned with white flowers. My eight year old daughter was captivated by the hats. Our interest got us talking to Jessica’s Dad. He quickly shared with us some facts; Jessica’s journey started in the 1st grade. She, now in 3rd grade, is more than 95% through her treatment. Her response has been super. The little girls with hats were classmates of Jessica’s. It all made sense given the baseline of 1st grade that he anchored for us. I immediately felt both the length of time that had elapsed and the tremendous joy that Jessica’s Dad felt to be almost 24 months beyond the initial diagnosis. How powerful that simple 1st grade baseline was. This client’s baseline evolved to be very powerful. With it he established a record of the current state that he adopted. He used that record over and over to educate others; his new boss, his team, external people who cared. It allowed him to communicate his progress and to demarcate the actions of the prior leader versus his own. The most powerful trick created by this was its anchoring ability. This fact set allowed him to center his audiences as he established a track record. End of quarter, let’s look back at where we were. End of year, let’s look back at where we were. End of a 5 year period…you get the picture. For what you are up to, do you have a good baseline? What are you measuring your progress against? Whether you are running a household, taking a new job or picking up more responsibility within an existing one, I fear for those who don’t stop to record a baseline. This is a very powerful tool that few people will ask you for. Sounds simple, right? It isn’t. Years after observing EMaven’s client’s baseline I tried to establish one myself. I had just taken on a new huge role at an S&P 500 company. I had to wrestle to get the time and attention span to accumulate the facts while the train was leaving the station with me driving it. I got a decent way there. Enough to get me some fuel early on. In hindsight I wish I had done more. This baseline concept hit me again on Monday after my Sunday talk with Jessica’s Twinkling Stars. I was reading about the economy and couldn’t help but smile in reading “Fill in the Blanks” by Bill Keller on the Op-Ed page of the New York Times. In it he relates, “Obama inherited two unfunded wars; supply side deficits; twin housing and banking crises; and an era of regulatory permissiveness.” (New York Times 9/19/2011 pg A29) What a baseline! My sense from afar was that Obama was too polite to read into the record a really good baseline. The voters had spoken. I wonder if it was to his peril? I wish I’d created a good baseline for my transition. It started in April 2010. After meeting Jessica’s Twinkling Stars I plan to try to re-create a baseline this week. I check back with you on my progress. 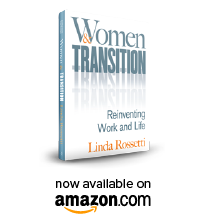 This entry was posted in Observations on Transition and tagged career transition, career transition issues, managing your career, observations from a women's transition, women's issues, women's professional transition, women's transition issues, women's transition process. Bookmark the permalink. Great insight – it gives me direction in my own introspection.